We proceeded to set the table with a cold rotisserie chicken from the Manhattan Beach Farmers Market from the day before and some jasmine rice sprinkled with olive oil, salt and pepper. The salad from the day before had fresh spinach and roasted cauliflower, to which we added more spinach, tomato and radishes. She offered a creamy bottled dressing and I said I’d rather make an oil and vinegar one from scratch, which I did and the whole meal was divine. We were very proud of ourselves for our creations. There is nothing I like better than leftovers, of every kind. I treasure my frozen containers full of homemade chili and pieces of cornbread individually wrapped. That wedge of pizza that is waiting to be microwaved until the cheese is molten. The cold grilled sirloin or meatloaf which will make splendiferous sandwiches. Just think about that Thanksgiving turkey, stuffing and gravy waiting for you the day after. 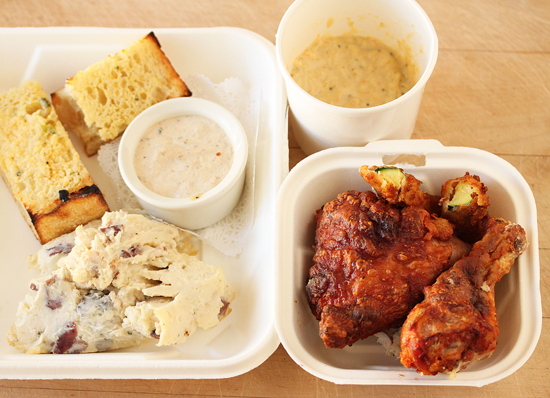 And then there are the leftovers that come in those white boxes from restaurants. Oh, I love those especially. Some chef toiled for hours making something really delicious, and all you have to do is heat it up for a couple of minutes! I live with two people who sometimes bring home little white boxes filled with surprises. I love to open the refrigerator and look expectantly inside. It’s like Christmas. And they share. So, two weeks ago after our dancing class, Michele and I went to The Kettle in downtown Manhattan Beach. This place has been there since the mid-1960s and was the first restaurant I went to when I moved from Chicago to Los Angeles in 1971. It has great beach atmosphere, with booths of dark wood and red leather. The backs are quite high, so when you sit down, you can talk in privacy. The food is American comfort food – burgers, pasta, salads, pancakes and eggs. They have the best bran muffins I have ever eaten. And you can see the ocean. We were hungry, so for some reason I ordered fried chicken with mashed potatoes and country gravy. Usually I get a Chinese chicken salad, but that chicken sounded good. When it arrived, it was ok. I was hungry, I ate the chicken, then I wasn’t hungry any more. Mission accomplished. 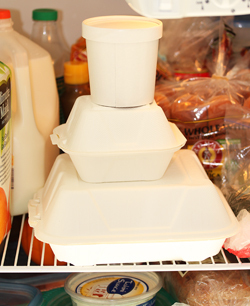 So the next day, when I opened the refrigerator, I had forgotten about the leftovers. There were those white boxes, which I opened, looked at the contents, and thought to myself, I really didn’t want to heat up that hard blob of mashed potatoes and the congealed gravy. The cheese and broccoli soup was hard like a hockey puck. But I didn’t want to throw anything away either. So I decided to do the logical thing under the circumstances: make soup. I heated up two cans of chicken broth in a big pan and mixed in the mashed potatoes, gravy and cheese soup. They dispersed beautifully into the broth. Then I cut up the chicken into bite-sized pieces and added it to the soup. That cheese soup must have been full of parmesan because the cheesy, potato-y broth was really, really good. I sopped up the broth with the garlic bread. Yum. And I had made enough to create more leftover containers to freeze, like money in the bank. Yes! I also love leftovers, especially the ones you can recycle, like you did with your meal. Sometimes the second rendition tastes even better:) When my dad was here, he would eat leftovers the next day for lunch. most of the times I was relieved, but a couple of days I was a bit annoyed, because I had a recycled meal in mind. Horrible, I know! Leftovers are great and they make even the least creative of cooks a pro for a while. I love how you made enough to get more leftovers, what a perfect meal. It looks like you ate like a bird the first day—the whole meal was left! Where’s the recipe for Fried Chicken, Mashed Potato, Gravy, Cheesy Broccoli Soup? (Glad to see you left out the bread. That might’ve been too much.) Guess I’ll have to do a Google search. 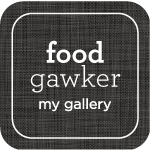 Hello – I just clicked on your blog from Food Gawker because I liked your photo. 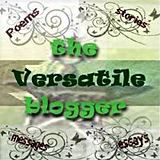 But I really like your blog, especially the nice clean look of the blog and amazing photos. 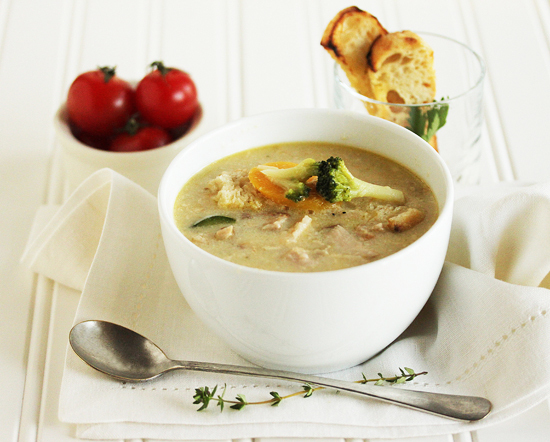 Your leftover soup looks great too. This looks wonderful! As per usual, your pictures are fabulous! I love this idea!!! The soup looks delicious and your photos are, as always, gorgeous!!! Great to meet you at the FBLA brunch! Love your photographs and food styling — so beautiful!! Oh I would love to go your dance class…and then eat leftovers! What a great way to spend your evening! Thanks for sharing, sweet woman! I hope you are having a splendid Saturday night. Take time to relax and rejuvenate tomorrow. Hugs from Austin! I love leftovers and use to have “clean up my fridge parties” when someone would come over for dinner I would make one or two appetizers and then we finished eating all the home cooked meals sitting in my fridge. I have never however put all of the leftovers in one soup pot, great idea. I need to try it soon. What a wonderful creation that looks so good!! And that it was made from leftovers is an added bonus! I love leftovers too. i hate wasting food, and when I can make a dish with something leftover in the fridge I feel a great sense of pride and accomplishment! 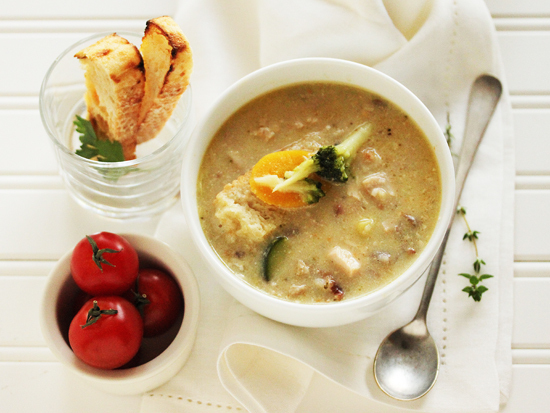 You should definitely be proud of your soup, and give yourself a pat on the back!